When Grant Engelbart was 13 years old, he invested in his first mutual fund. He’d saved up his Christmas money every year until he had $500 – the minimum needed to purchase the fund. The fund was a collection of technology stocks, and unfortunately, Engelbart invested at the height of the tech bubble. “So I learned quickly about gaining and losing money,” he says. Looking back to his childhood, Engelbart recalls running through the aisles with his brother – checking out video games and trying out couches – while his parents shopped for deals and navigated the crowds of Berkshire Hathaway weekend. The store, which is owned by Warren Buffett, an early idol of Engelbart’s, draws thousands during the annual shareholder’s meeting. People come from around the world hoping to score a deal and, of course, catch a glimpse of Warren Buffett. 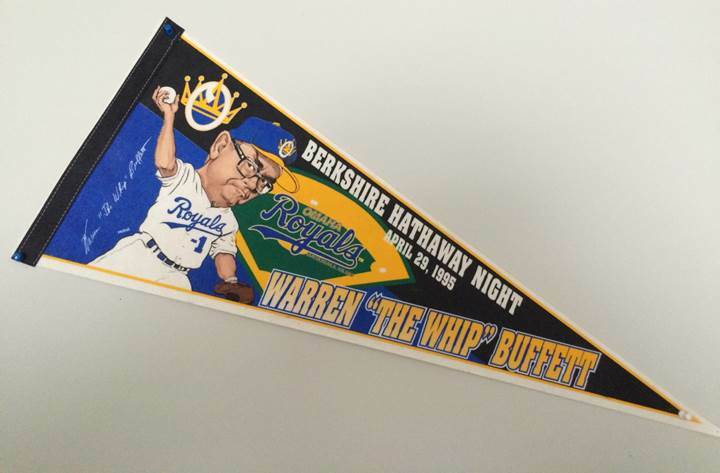 Engelbart first saw Buffett throwing a pitch at an Omaha Royals game (he still has the pendant), and it was Buffett who first got him thinking about investing. Today, Engelbart is a portfolio manager at CLS, and while he’s worked there for just six years, the passion for investing that drives him in his work has been part an integral of his life much longer. Although Engelbart invested only in small amounts and never struck it rich, he says the time he spent investing his own money on a daily basis was a significant learning experience. At CLS, Engelbart has moved on to managing millions of dollars for other people, but he watches it as closely as he would his own.